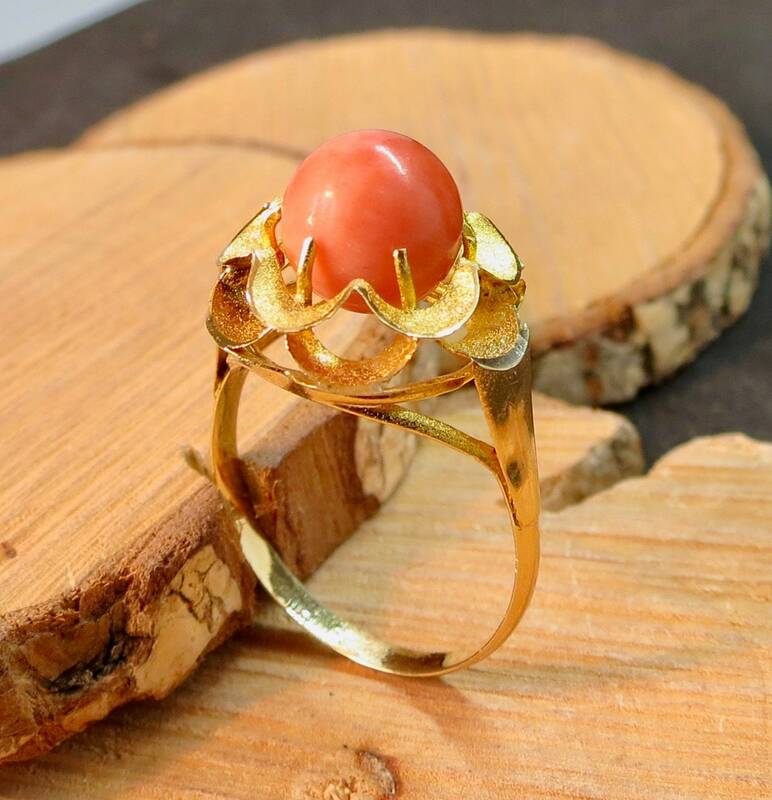 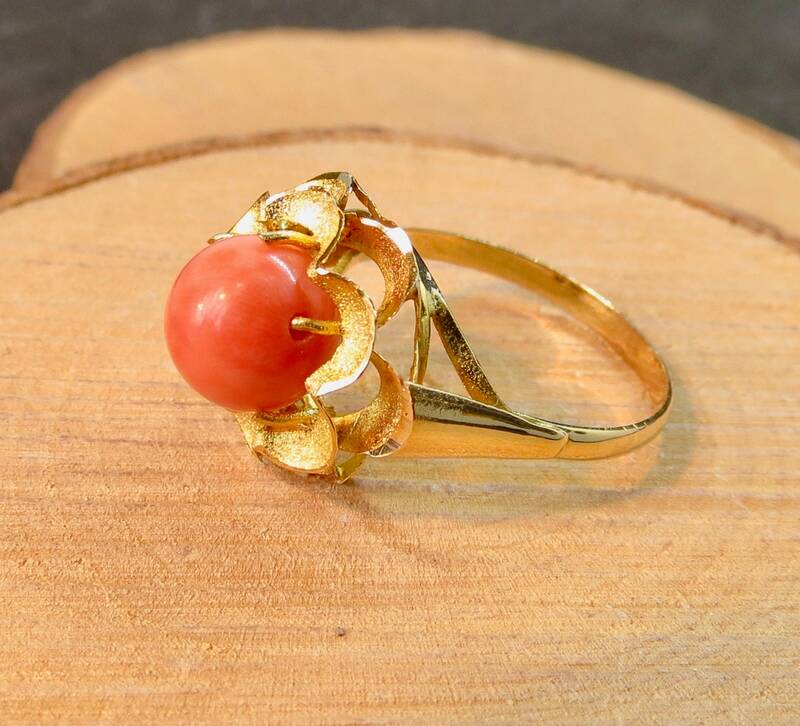 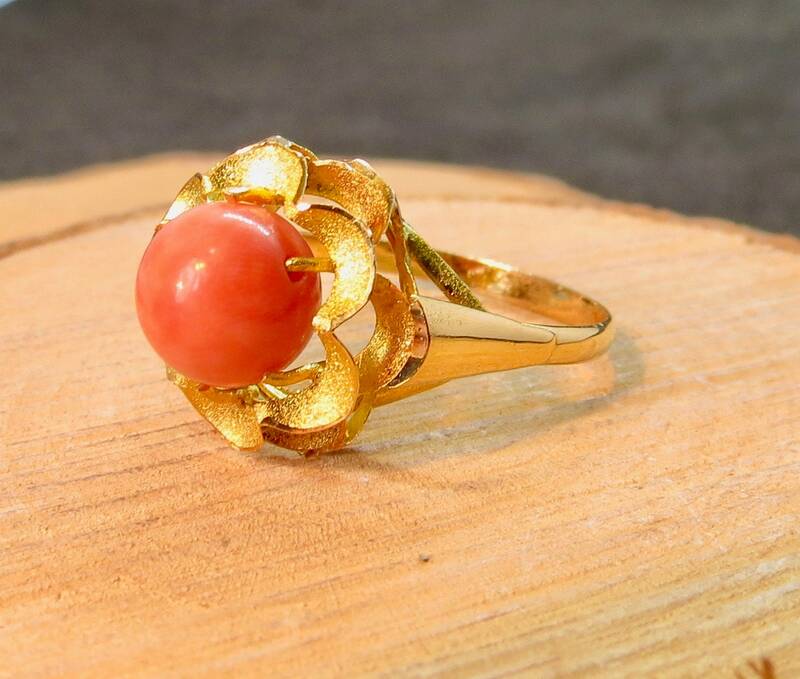 A yellow gold ring with a multi-leaf design and a central pinky coral cabochon. 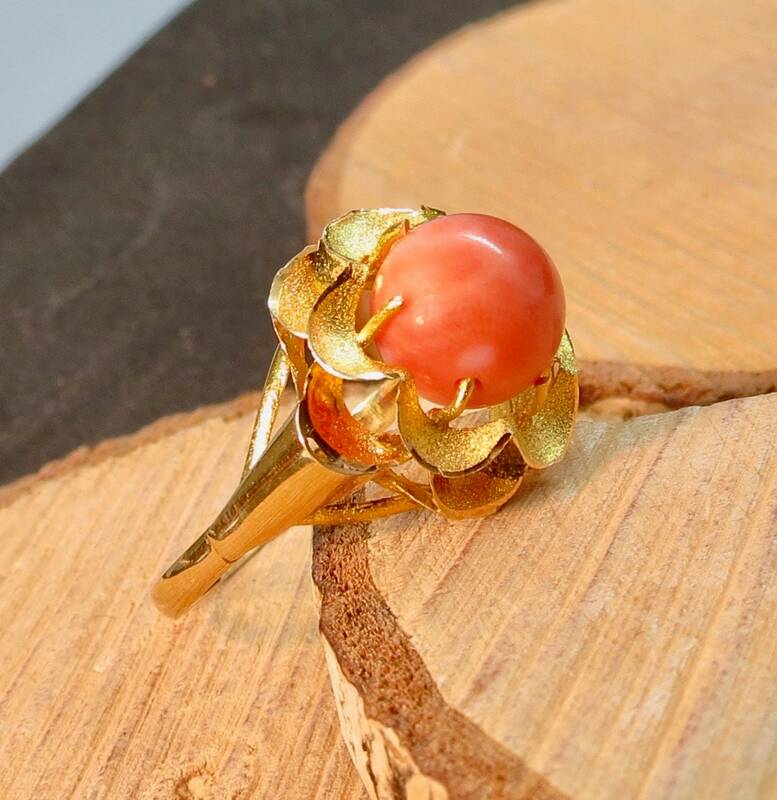 Each leaf has a satin finish with a clean edge. 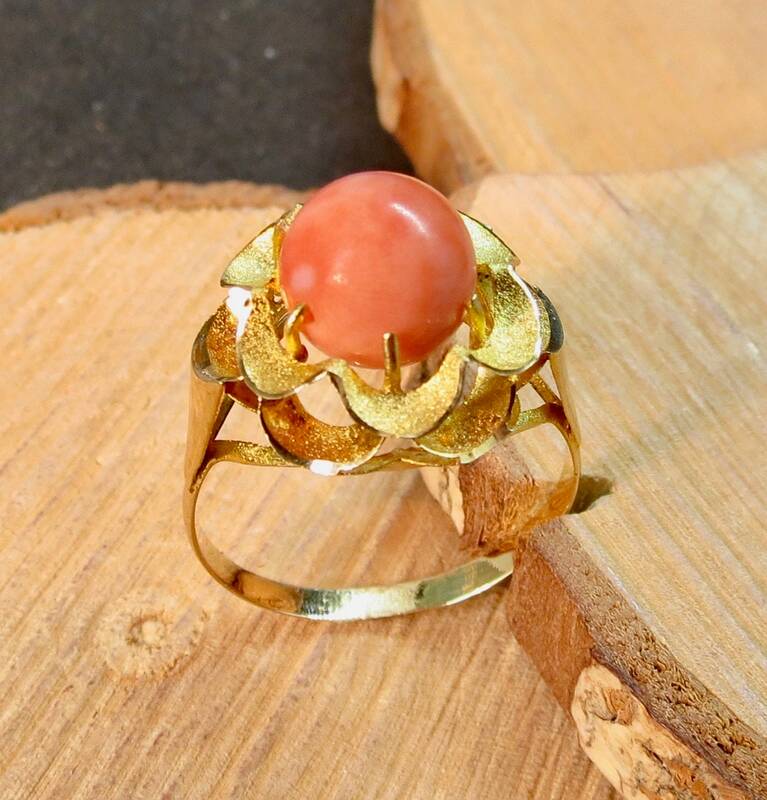 A beautifully made piece. 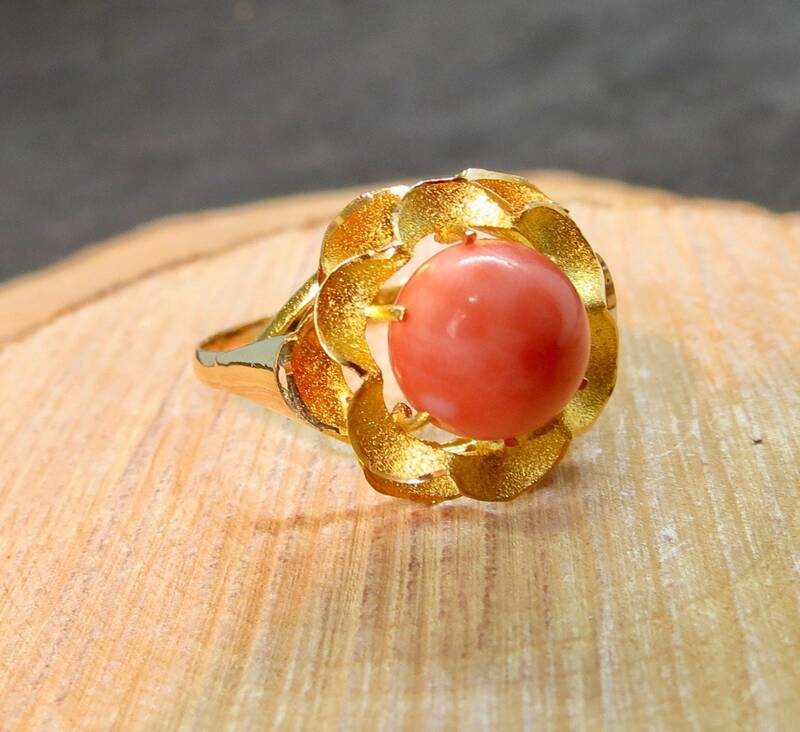 The coral is 10mm across. 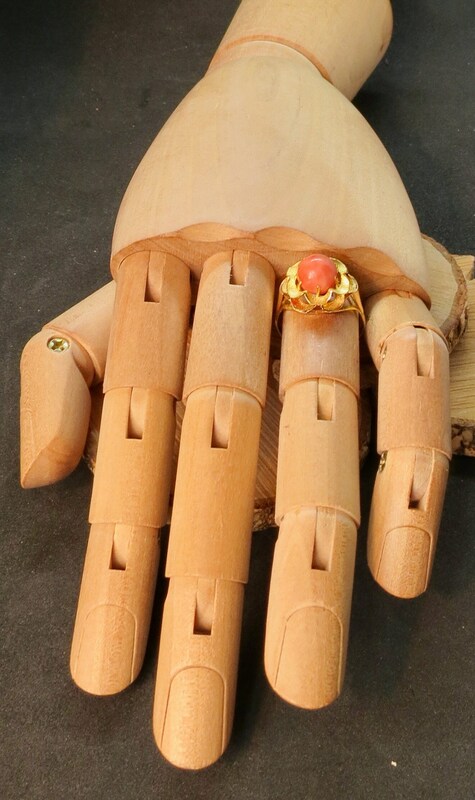 There are no hallmarks, and the gold tests to well over 18K. 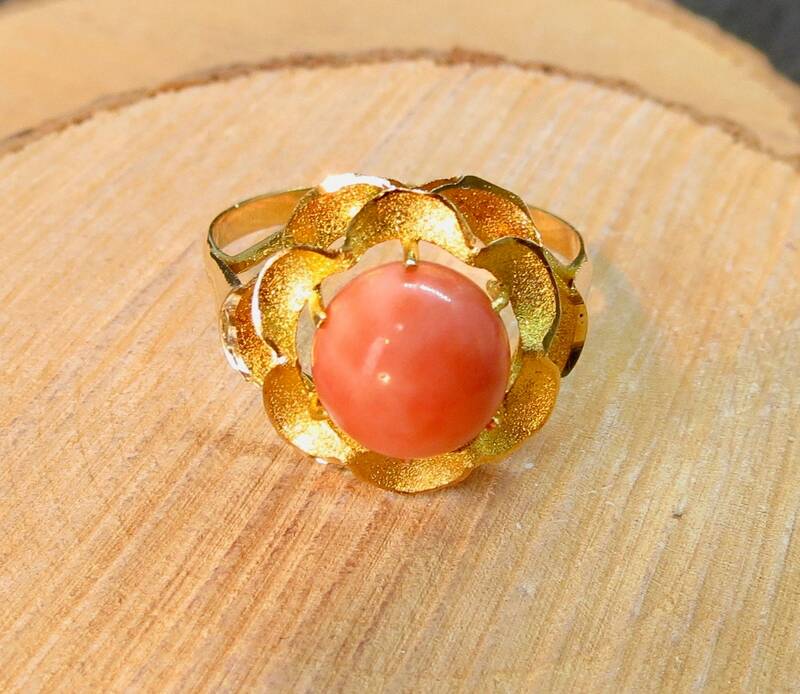 The colour of the gold is a deep orangy yellow. 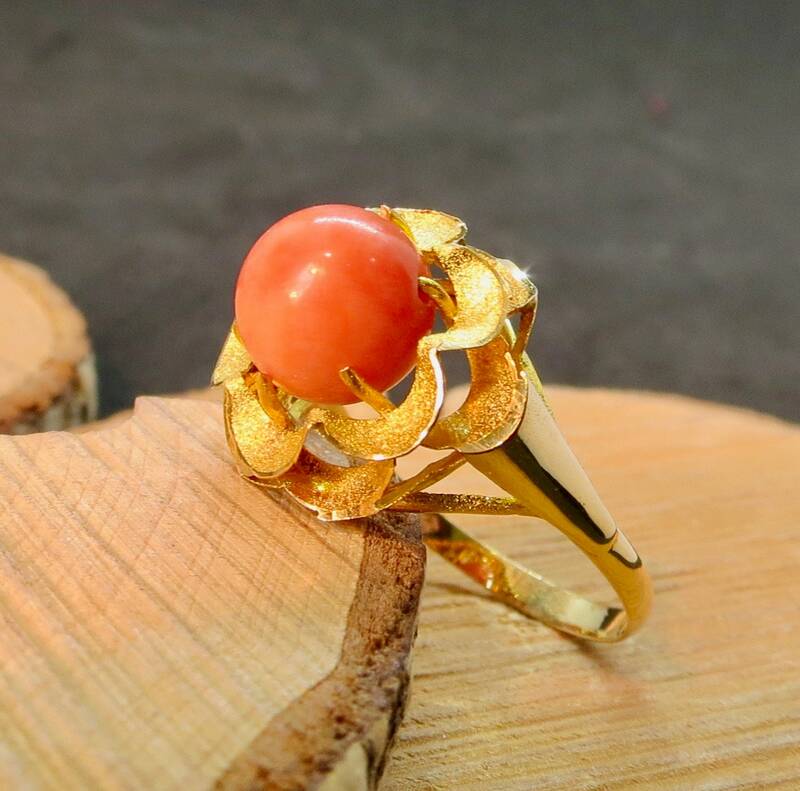 It is possible this ring is a bespoke commission originating from Asia and the Pacific. 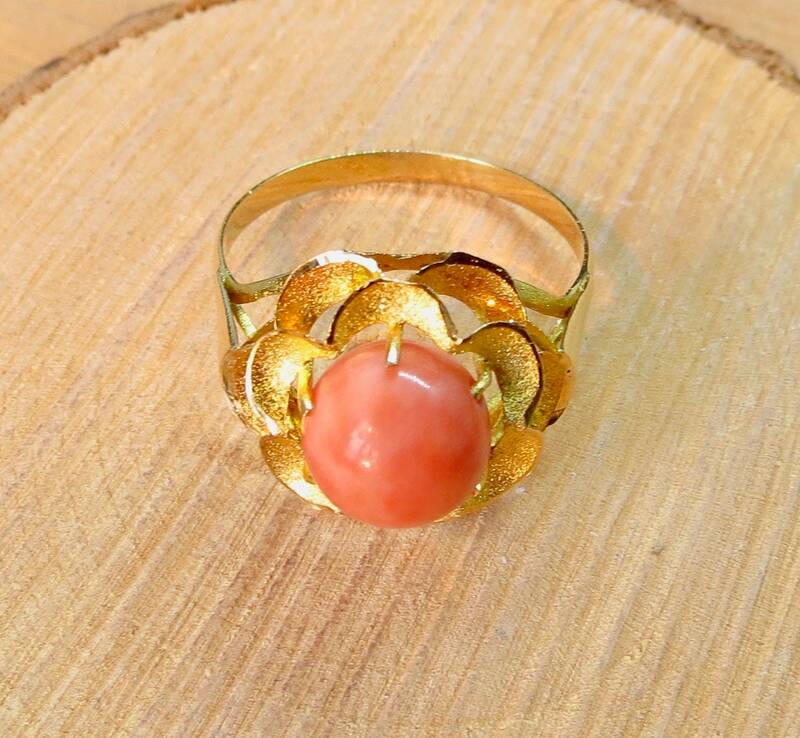 This ring has a good size setting, about 2/3inch wide (18mm) and 1/2 inch (10mm) high.